This Riedel Wine Decanter has a tall and beautiful design. 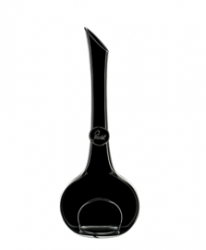 The Superleggero has an especially elongated neck, giving the decanter a regal appeal. The Superleggero is sure to make any wine lover or sommelier happy.